Swarovski's BTX combines the visual power of both eyes with a revolutionary viewing experience. Crucial subtleties can be seen with the crystal clear optics, with every detail now fully on show. A forehead rest and angled view guarantee comfortable viewing for hours on end. 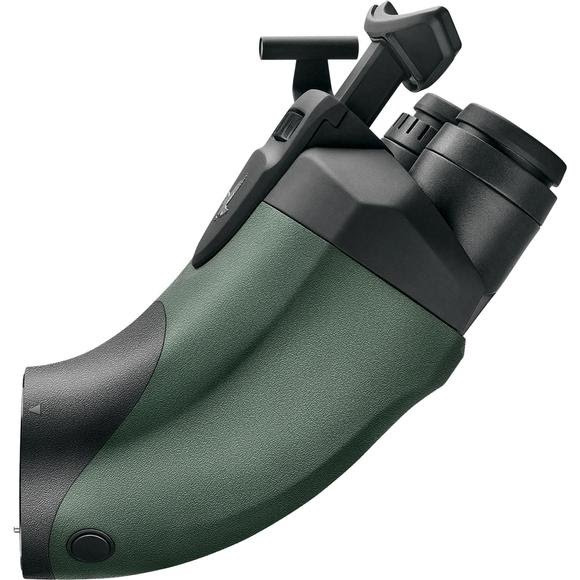 The benefits of binoculars and spotting scopes are combined in the BTX eyepiece module. Swarovski &apos;s BTX combines the visual power of both eyes with a revolutionary viewing experience. Crucial subtleties can be seen with the crystal clear optics, with every detail now fully on show. A forehead rest and angled view guarantee comfortable viewing for hours on end. The benefits of binoculars and spotting scopes are combined in the BTX eyepiece module. It presents vivid, true-to-life images and offers the comfort required for long-term observation. The BTX eyepiece module is compatible with all objective lenses in the SWAROVSKI OPTIK ATX/STX range.